Laminated Dimensional Shingles, also known as architectural or laminated shingles, are becoming increasingly popular. 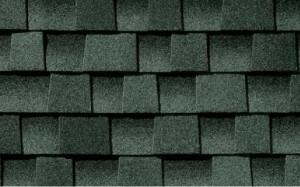 These Dimensional Shingles are similar to regular three tab asphalt (or composition) shingles, but Dimensional Shingles have two layers of shingle material bonded together rather than a single layer. 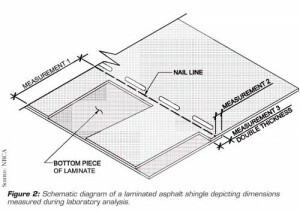 The exposure of the top layer of shingles has random notches taken out, and the bottom layer is adhered to the top layer. This gives Laminated Dimensional Shingles a scattered, three dimensional look to the Laminated Dimensional Shingles roof, with different high and low tabs. But Laminated Dimensional Shingles like regular three tab, they are still topped with a layer of granules for protection against weathering, and the base mats are between two layers of stabilized asphalt. Due to the thicker layer of material, they offer more protection from wind and hail than asphalt shingles. The heaviest grade Laminated Dimensional Shingles can withstand winds up to 120 mph. These Laminated Dimensional Shingles are also very fire resistant. 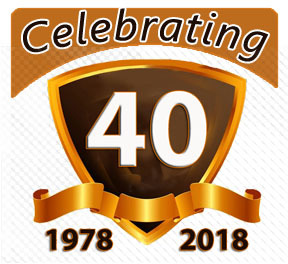 They have a longer lifespan, usually lasting for 40 years while manufacturer warranties can be seen anywhere from 20 to 50 years. The extra cost for Laminated Dimensional Shingles is generally around 10 to 20 percent extra from that of regular asphalt shingles. Laminated Dimensional Shingles are susceptible to mildew and algae damage just as composition shingles are. This is usually due to wet leaves or other debris building up on your roof, so it is important to keep your roof clean free from debris to ensure for best performance and durability. Adequate flashing and venting is also necessary to extend your Laminated Dimensional Shingles life. Cons: Laminated Dimensional Shingles Slightly more expensive than traditional asphalt shingles.